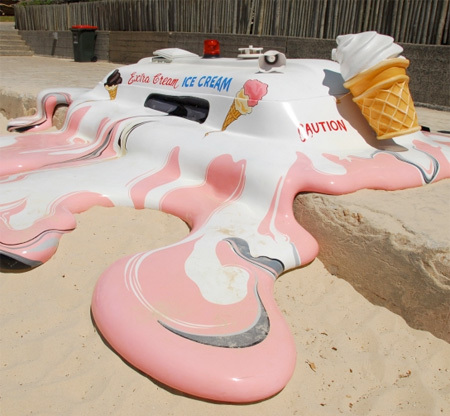 Eye-catching sculpture of a melted ice cream van created by Glue Society. 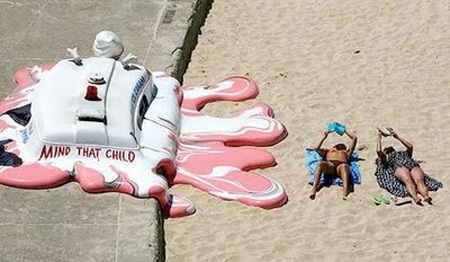 Creative art installation was exhibited on the beach in Sydney, Australia. 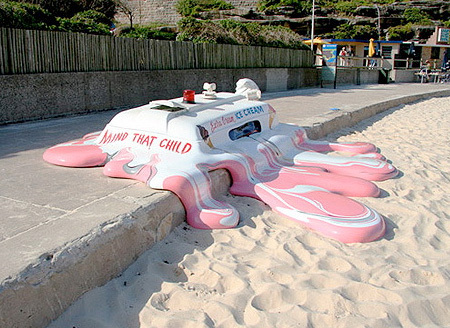 I totally saw this at sculpture by the sea. 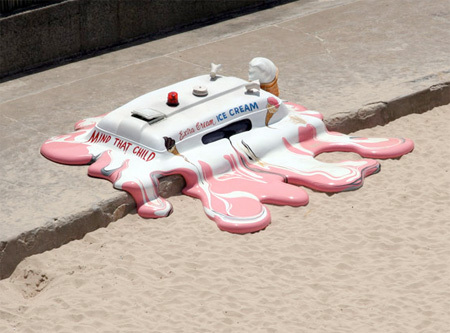 No this isn’t a commentary on global warming. 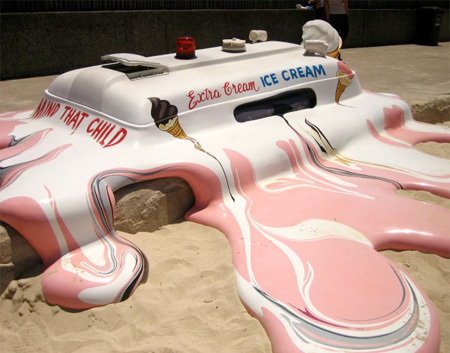 Hot enough to melt ice cream has been around since before ice cream. Stop looking for meanings where they don’t belong. gert, this is your artwork? if not, i’d like to know on whose authority you are mediating the intended meaning of this art piece. as far as i was aware, art is open to interpretation, and that’s on an individual level. you may not agree, but that doesn’t invalidate someone else’s opinion, nor give you license to be judge, jury and executor of all things art. i also wouldn’t have connected climate change with this, but that actually makes the contrast of interpretation all the more interesting, and something valid to consider.